Few things in the world enjoy international popularity, and the selfie phenomenon is one of them. Some people have shown contempt for such a trend as they become irritated with the fact that the younger generations constantly document everything. They want to keep every interaction in their day-to-day life on social media for all to see. However, before you decide whether or not this trend is worthy of all the hype, it is important to come to terms with the fact that signmakers have been taking advantage of the selfie craze in order to boost business. When you think about it, sign-making ideally consists of nothing more than selfie signs. People take hundreds of photos of themselves with various signs all over the world. You cannot deny that you have, at one point, found yourself taking selfies or photos of friends or family members in a similar manner or under similar circumstances. Young people document everything; from the random walk-in to a new restaurant in town, to a once-in-a-lifetime trip to Vegas or NYC. No moment passes by without an opportunity to capture every detail to share with everyone on social media. You may also want to snap a picture of yourselves as a family with an interesting sign that you may come across during your summer vacation. Signs help make ordinary memories extraordinary. A sign can be that special addition to your photos that can cause them to go viral as well. Many family photos have been huge social media hits over the years. Think about a time when you may have seen some teenagers gathering for a selfie. Maybe it took you back to a time in your life when you may have looked ridiculous searching for the perfect position so that you can capture the “Hollywood” sign behind you to add to your ‘bragging rights’. You may have even risked your life by crossing the busy intersection just to have the sign “Welcome to Las Vegas” visible behind you. There are many instances where people have risked their lives just to take photos with some structures that would enable them to brag about their trip to certain places that are considered quite prestigious in the travel and selfie worlds. There is a constant desire to let the world know about all of our adventures. A new wave of signs strives to make the documentation process easier and safer. Many cities worldwide are in the process of installing or erecting “selfie signs” in strategic or prominent locations to help selfie lovers have their best photo sessions in their cities. These signs often have some cross-cultural appeal that beckons to both tourists on vacation and locals seeking to have a good time. Wedding parties frequent these places, and invitees love to strike a memorable pose. Some signs have become so famous that no caption is necessary. People know exactly where you are simply from the selfie sign behind you! A good number of selfie signs are strongly-constructed. They consist of large block letters designed in a manner that allows for easy climbing. 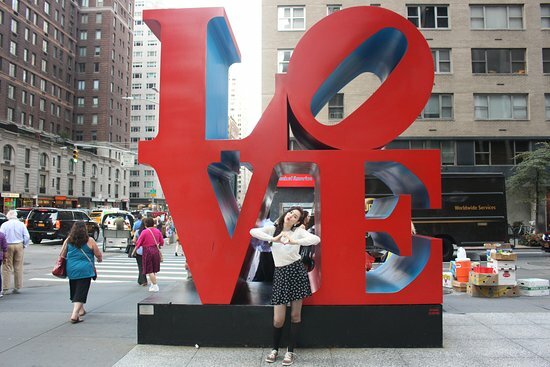 Tourists climb on these letters to pose with them for selfies. In this regard, newly-constructed signs take into account the fact that people may want to take photos with them. They are placed in strategic locations for easier visibility without risking the lives of selfie lovers. You are likely to see these signs close to you. So the next time you see one of these amazing signs, don’t be shy! Go for that selfie!